If you're a thrill seeker, whitewater kayaking will definitely be what you're looking for. Your first taste of whitewater kayaking in the club will more than likely be the Lower Corrib (the river that runs through Galway City!). The flow is controlled by 16 gates upstream and depending on the water level in the upper corrib, the flow is controlled by the opening and closing of these gates. A full 16 gate session on the Lower is quite easily, one of the most exhilarting things you'll do on a weekly basis throughout your first year! 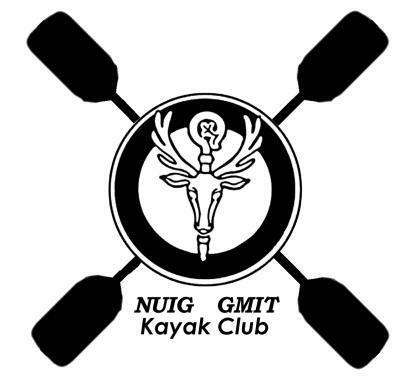 Check out this video by club member, Conor McComb on what the Lower has to offer! Just like other disciplines, it has it's competitive side. We hold races on the Lower every once in a while where the object will be to race with several others from the top, to the bottom of the river doing everything you can to make sure you secure that first place. 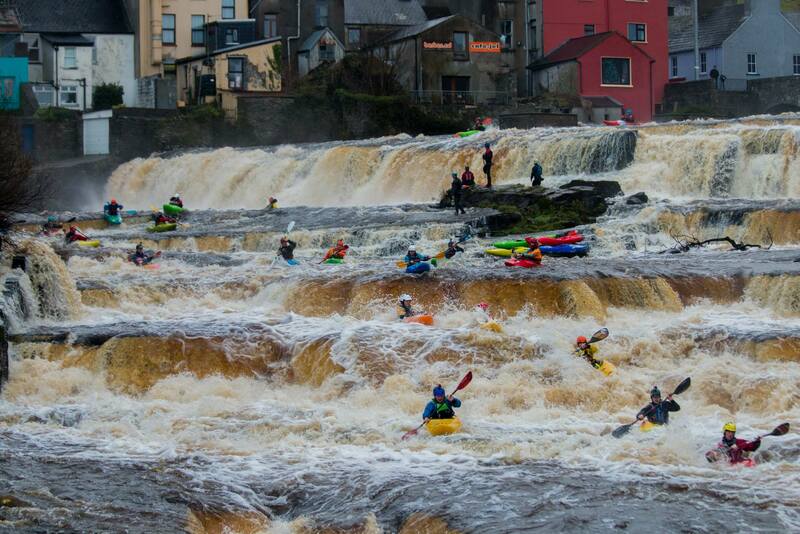 Alternatively there are races held on different rivers throughout the country such as Boluisce, Clare Glens, Buncrana, Ennistymon amongst others! These races feature a time trial where it's up to you to find the fastest moving water and to reach the bottom as quick as you can! Here in Ireland, we depend on rainfall for rivers to run efficently. This means you'll discover a new found love for everytime rain starts to fall and even start to curse that it doesn't rain enough! This also unfortunately means that the coldest time to get out on the rivers, are also the best! To relieve yourself from the horrifically cold mornings at 7am in the middle of nowhere in a rural area of Mayo trying to chase the rain, we take trips abroad where it's much more warm! The Alps is the perfect spot to experience this. Warm weather deep in the French/Italian valleys combined with cold water provides a perfect cool off and makes it one of the best spots you could travel to in Europe for whitewater! This is considered one of the best clup trips we currently offer within the club if you're into whitewater. Ask anyone who has been and listen to them rave about for hours on end!